Both the Assembly and Lok Sabha polls are being held in Odisha simultaneously in a couple of weeks. The Congress has entered into seat sharing arrangement with CPI, CPM and Jharkhand Mukti Morcha hoping to deny BJD supremo Naveen Patnaik a fifth consecutive term as Chief Minister. CPI (M) leader, Janardan Pati for the first time in his political career will be contesting from the prestigious Bhubaneswar Lok Sabha seat. In an exclusive Interview with Nageshwar Patnaik, Pati declares that his party’s primary aim is to dislodge the BJP and its allies and replace them with a secular government at the centre. Q. For the first time, you are into electoral politics by contesting from Bhubaneswar Lok Sabha constituency. Though, CPM had won the Bhubaneswar Lok Sabha seat earlier; the road to success in 2019 polls for your party appears quite rough with Chief Minister Naveen Patnaik and Prime Minister Narendra Modi still popular among the voters. How do you look at your chance in the Lok Sabha poll? I was into active politics for last 50 years now and all along, I have been involved with people’s problems and issues. In the past, I have been attacked by police, goons, arrested and put behind bars multiple times, but I have never given up. Even during the Emergency (1975-77), I was in custody for a long time after remaining underground for quite some time. I began my political career as a student when I was an active leader of the student’s movement. 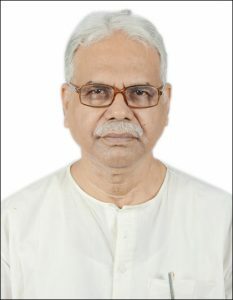 Therefater I became the State President of the Democratic Youth Federation of India (DYFI) and then the Secretary of the Odisha State Committee of CPI (M) where I served for almost 25 years. But during these 50 years of my political career, I have never contested for any assembly or parliamentary seat. This General Election of 2019 is going to be very crucial in our country’s politics. The RSS controlled BJP is trying hard to establish a communal fascistic system, negating our democartic setup. Narendra Modi is taking this idea of communal fascist force forward and Naveen Pattnaik’s Government has never ever opposed the BJP such moves. Rather, the BJD has always supported the BJP in parliament. Therefore, our political aim is to dislodge the BJP and its allies and replace them with a secular government at the centre and for this, it is utmost necessary that the strength of left parties must increase in the parliament. The popularity of Modi and Patnaik led governments is on the wane due to their anti-people policies. Voters are now well aware of the kind of politics being carried out by these parties and the people will definitely show them the exit door in this coming election. Q. There has been some seat adjustment, but the alliance of Congress, Communist and social justice parties is still a far cry? Will such an alliance take shape post 2019 polls? Post this 2019 general election, the NDA government will definitely be dislodged and a secular alternative will emerge. In the 2014 general elections, the BJP had got only 31% vote which means that the rest 69% people had rejected its idea of Hinduism and false promises. Their communal policies are not only against the minorities but against all the people. They are playing the Hindu card just to be in power and earn sympathies of the people. During the last 5 years, people have known the true face of the BJP government. Modi’s words and actions have no co relation with each other and he is only mastered the art of giving false hopes to the people. People will soon be giving their verdict and a secular alternative will come into play. Q. No regional party has been more effective and lasting than Naveen Patnaik’s BJD in Odisha. How do you rate the chance of Congress, CPI, CPM, JMM in the ensuing polls in the state? The BJD is a break away group of the JD (S) which was formed with the blessings and guidance of the BJP. The BJD though has claimed to be a secular party, but they have been hands in gloves with the BJP at all times. The BJD has been operating as a private company owned by Naveen Pattnaik, with Modi staring at it. With the faulty policies, the BJD is certain to be out of power this election and thus there is a fair chance for us in the polls. Q. What is the CPM’s mantra of development of the state? Besides this, tourism has to be taken seriously in our state. Also, the advancement of education and advanced technical know-how will help immensely in the development of the state. Growth of a handful of people does not mean the development of the state. Modern and advanced odisha is CPM’s motto. Q. Despite rich in natural and mineral resources Odisha still remains backward. Why? Odisha indeed is very rich in its natural and mineral resources. But the vast mineral resources are not been utilised in the interest of the state. The government is interested in selling off the minerals. We all know that for the formation of ore, millions of years are needed and thus utlisation of the minerals should be done judiciously. But yet, the Government is busy selling them off at throw away prices to please a few and this is making the larger section of people of Odisha suffer while a handful are getting wealtheir. Q. Development of agriculture in the state still lags behind other states. Farmers are in distress. What is the CPM’s agenda to revolutionize this sector? Agriculture is the backbone of our state. About 65% of the people of the state depend on agriculture. But all these people, the farmers, are burdened with debts and are in distress. They are not being paid enough against their products and thus are committing suicide with no alternative at their disposal. During Naveen Pattnaik’s rule, about 3500 peasants have committed suicide yet the government is doing nothing for them. The least the government can do for them is to waive off their loans and pay them enough against the products cultivated by them. The central government has waived the loan of industrial houses to the tune of Rs 35 lakh crores but have not waived off a single pie for the poor farmers. The farmers not only need to be paid enough for their products, but they should be provided water, electricity, fertilizers, seeds, storage facilities, modern equipments etc in order to help them sustain themselves. Unless the farmers are uplifted, they cannot help themselves. The blind eye of the state and the Central government towards the farmers is the main reason why they are lagging behind in comparison to other states. Q. Experts have categorically stated that debt relief is no solution to the problems faced by farmers. Naveen Patnaik government has launched KALIA scheme to help farmers. Don’t you think Naveen Patnaik’s BJD will benefit from these schemes? We also agree that debt relief is no solution to the problems faced by the farmers. But debt relief will put them out of the constant and immense distress the farmers are facing. The issue of debt is an additional burden on the farmers along with their various problems and we can start off by taking a bit of their burden off. The Kalia scheme is claimed to be one of the unique scheme in the country by the BJD party but this is only aimed at hoodwinking the peasants. The government is also trying to divert the farmers from their demands. The kalia scheme will be providing Rs. 5000/- per farmer per instalment and with five such instalment, a farmer is supposed to receive Rs. 25,000/- in his lifetime. Interestingly, the scheme is not covering all the farmers as a blanket scheme which is a major plot in it. Further, the farmers are not being paid the minimum amount against their products and this should be addressed first if we really want to do anything about the farmers. Suppose a farmers is having one hectare of land, he can produce about 25 quintals of paddy. In that case, if he is paid enough against his produce i.e. Rs. 3000/- per quintal against Rs. 1750/- per quintal that is being paid to them now, the farmers can get Rs. 1250/- more per quintal which is Rs. 31,250/- per crop per season. In the two and half years time, when the kalia scheme promises to pay him Rs. 25,000/- he would have earned Rs. 93,750/-. The scheme is basically launched to keep the farmers away from the genuine demands and rights that are being denied by the government. This is a completely anti-farmers scheme which is being sold as pro farmer scheme. Kalia scheme is aimed at fooling the peasants and nothing more. Q. Odisha has seen some industrialization, but it is far from utilizing its potential and still remains a laggard in the industry sector. What does your party offer to make Odisha industrially advanced? Industrialization is utmost important in the development of the state. We have all the raw materials available in our state, but we are not setting up industries to process them and we are exporting the raw materials at cheap prices. At the same time, we are importing finished goods which is taking a toll on our economy. Establishment is industries will not only result in development of the state and its economy but will also provide employment to huge section of the unemployed youths. Odisha has a huge market and establishing industries with good intention with definitely result in development of the state. Q. What is your party’s prescription for faster development in other sectors? Besides the industrial and agricultural sector, various other sectors such as education, health, communication, banking, research etc needs to be looked at. Without development of these sectors an all round development of the state is impossible. The government needs to spend at least 30% of its budget for education and health which are important for the development of any state. The present government is ignoring the education and health of the state which is causing a major impediment in the development of the state. We demand allocating enough budget for these sectors for its faster growth resulting in all round development of the state. Q. In the 2017 three-tier zilla parishad election, the BJP emerged as a strong second whereas Congress came a poor third. Do you think the Congress having entered into seat arrangement with your party and others will be able to wrest the earlier position. How is your party gearing up to take on both the both the BJD and BJP? In 2017 three tier parisad election, the BJP emerged as the second force in rural areas as it managed to divide the congress votes. The BJP had no base in the state and they have gained base only by dividing the votes of the Congress. During 2000-2008, the Congress had a strong base in almost all villages of the state but because of internal disturbances within the party, it became week and with the seat arrangement, we believe there will be a positive change in the state. The BJP and BJD are two sides of the same coin. Except some local issues, they have always stood together. In various issues of economic and other policy decision, the BJD has also taken the side of the BJP. Every vote to the BJD is ultimately helping the BJP in the country in making a communal establishment. Q. Bhubaneswar is gearing up to become a Smart City. Is it on the right track? What more needs to be done for a complete image makeover? The Modi’s promise of building smart cities has also come out to be a bluff. Bhubaneswar was declared a smart city four years ago but yet there has been no development in the city in terms of being called a smart city. Till 2018, we did not have any public buses and it was only during the hockey world cup hosted by Odisha, the buses started plying. We have one of the worst public transports in the city. Besides that, water, electricity, internet, cleanliness, traffic etc are still the major problems for the people of Bhubaneswar. In Bhubaneswar, the slums are increasing day by day. The city is not at all inching towards becoming smart but is rather accumulating problems day by day. Q. How do you look at the future of Odisha? I see a very bright future for Odisha and I believe Odisha has all the potential of becoming a developed state of the country. With huge natural resources and man power, we can reach heights. But with the present governments at the centre and the state, which are working in the interest of a handful of people, the development of the State is a far-fetched idea. The BJP and the BJD governments are busy accumulating wealth at the cost of the interest of the people. With pro-poor policies and better implementation of ideas, Odisha is not far from being a developed state.